What a coincidence! I remember wanting to read Meet Me At the Museum when it was first released, but I forgot about it. Just this week, I heard a book podcaster raving about it…and now here you are reading it! It sounds wonderful – hope you enjoy it! Enjoy all your books this week – and your lovely weather! I wonder what the book podcast was Sue. Always looking for a good book podcast. I just listened to Kellgren read another book and agree about the phone book comment. I think I’d listen to just about anything she or Imogen Church read! I saw American Duchess at my library the other day and was wondering about it. I love the topic. Have a great week and stay cool! We’re in a warmer part of the US and right now I’m so grateful! I couldn’t handle those negative temps! I’m looking forward to American Duchess! I think I need to read the address one soon. I wish I liked memoirs. Tons of other stuff to read Patty. I only read a few memoirs. Not a lot. I always enjoyed Kellgren’s audiobooks. Was sad when I heard she died last year. Yes I was too Mary – a big loss to the narrating world. I hope you enjoy In Pieces. I’ve always enjoyed Sally Fields’ acting. I have too Pat, she is one talented actress. I don’t enjoy memoirs, but enjoy your read. In Pieces was good. I love memoirs, my favorite genre. Thank you for hosting. Have a nice week. I wish I was in the warmth with you! It’s cold and icy here. You read some great books last week. Hope you have a great reading week. You probably will now that you are no longer hesitant to DNF books. I hope you stay cool! I wish I was on a warm beach. It’s so cold right now! I’m wrapped in blankets. Home Fires looks really good. So does In Pieces. I have to see if I can get that one in audio. Have a great week! I agree, I would listen to Katherine Kellgren read anything! She is one of my all time favorites. 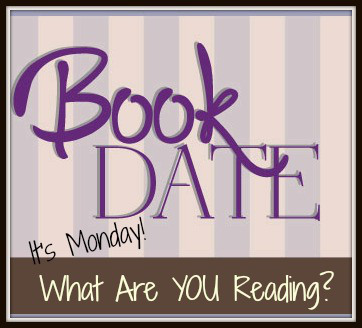 The three books you read are all on my TBR list. Swimming sounds so good right about now! I usually read my memoirs slowly, too. I hope you enjoy In Pieces. I am curious about Home Fries. Enjoy your week and your books.